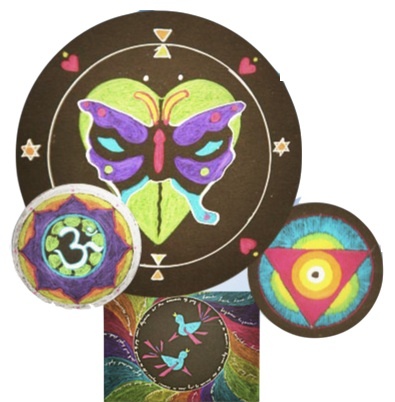 In a safe supportive environment, explore the mysteries of the mandala process. Mandala, which means sacred circle in Sanskrit, has been used for centuries as a meditative and creative tool. The process combines science, art, and spirituality. As a certified mandala facilitator, Sara will help you explore a simple way to tap into and trust your inner light, wisdom, intuition, and connection with Spirit. Absolutely no artistic experience or skills are necessary for this process! All sessions are non-comparative and non-competitive. Sara Claire creates a safe and liberating environment for everyone. Whether you are seeking a focused, rejuvenating creative time just for you, or questing for answers deep within, mandala sessions can help. One to one half day programs combining the centering and healing intentions of mandala circles with Shamanic Breathwork facilitation – truly transformative! Two and a half hour single mandala sessions customized to any desired theme: loss, grief, death and dying, stress reduction, inner discovery, problem solving, acceptance, joy, gratitude and contentment. On-going series, meeting weekly or monthly as desired, private or groups of two or more. Group sessions and weekend retreats, tailored to organizational or group needs. Absolutely no artistic experience or skills are necessary for this process, and supplies are provided. Come with an open mind and heart, along with a willingness to go within. You’ll be touched and amazed at what naturally unfolds. 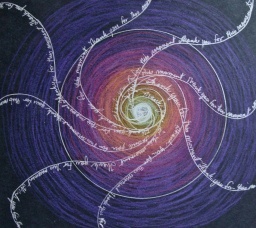 For more information click here to view Sara Curran’s website about her work with mandalas. If you would like to be notified the next time we offer this workshop please go to the contact us page and, with a few clicks of the mouse, and a little fill in the blanks, we will keep you informed! Judith Cornell’s original luminous mandala process – using subtle life-force energies, inquiry, intentionality, and holistic healing techniques for spiritual and emotional healing.